After running pilots in several cities, Airtel has now officially launched the Airtel Payments Bank services across India. 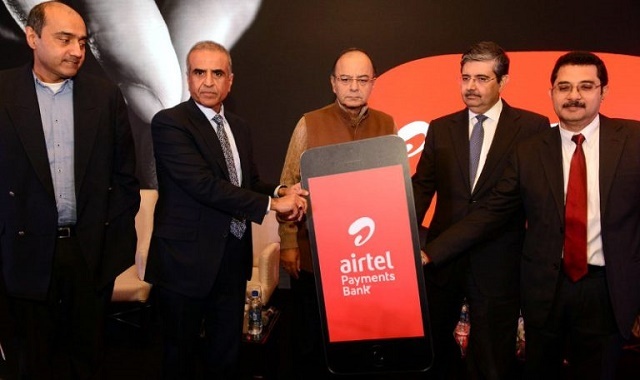 Bharti Airtel has announced the launch of the Airtel Payments Bank which would offer banking services at 250000 banking points in all the 29 states across the country. All Airtel retail stores across the country will also function as banking points. The company also launched the Airtel Payments Bank wallet for convenient banking and cashless payments. The Airtel Payments Bank would allow customers to open savings accounts, deposit and withdraw cash across any banking point in the country. Anyone including non-Airtel customers with an Aadhaar card can open a Savings Account using e-KYC. The customer’s mobile number would be the account number. The bank would offer interest rate of 7.25% p.a on deposits in savings accounts.